The recent Tasmanian Living Writer’s week saw many activities throughout Tasmania and their popularity was very evident to all. 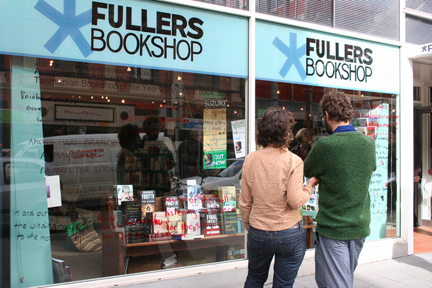 One of these was Haiku Graffiti an event which was the brain child of Irene Mc Guire of Fullers Bookshop in Hobart. Haiku poet’s Lyn Reeves, Ron Moss, Peter Macrow, and Jenny Barnard were invited to write haiku on the large glass windows outside the store and Irene joined in as well. A pre selected list of words was used and different colour pens which ensured a colourful event. People passing by enjoyed the experience and many were seen reading the haiku. Several other people joined in with a haiku of their own. The local Mercury Newspaper featured a photo and event information, the haiku will stay for about a week and it continues to attract interest. 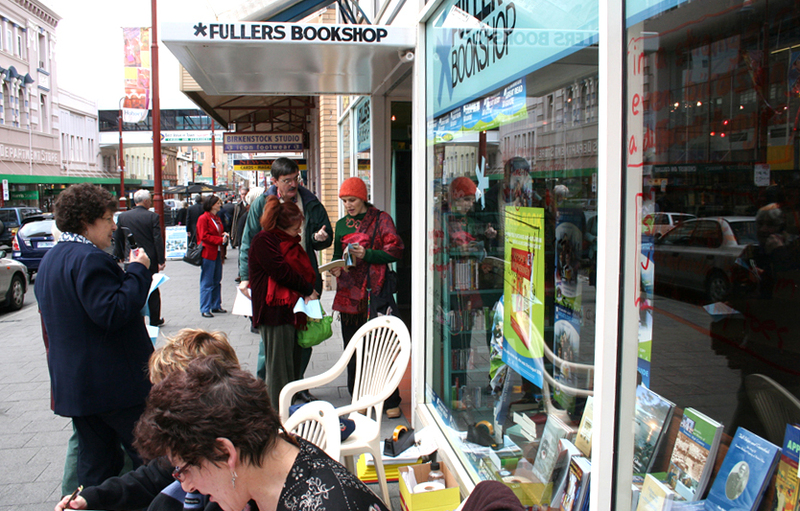 A wonderful event and our thanks to everyone involved in raising the profile of haiku in Hobart.